Will organic farming save Lehigh Valley farmers? Advocates are cultivating ways to help Valley’s shrinking farmland sprout anew. Inside a Lower Macungie government building that used to be a barn, plans moved ahead for nearly 3 million square feet of warehouses on some of the best farmland in the region. The same night last month, representatives of a home building company made their case for zoning changes to build 142 homes on another patch of land that historically has been farmed. The next morning, Mark Lichtenwalner woke up around 7 a.m. as usual and started working on his family farm, one of the few remaining in a township that has grown into the Lehigh Valley’s third-most populous municipality. Amid the corn and soybean crops and rows of vegetables he tends to on his 175-acre Indian Creek Road farm, he spoke of the only way of life he’s known and how his operation may suffer the fate of so many before it. Lichtenwalner’s sense of inevitability is easy to understand, considering Lower Macungie’s transformation into something of a poster child for the Lehigh Valley’s intense housing growth. In the mid-1970s, roughly 80 percent of the township’s land — about 11,500 acres — was used for farming. At the start of that decade, only about 8,800 people lived in the township. Today, only about 3,000 acres are being farmed, while the township’s population has nearly quadrupled. And nearly 700 acres of farmland is expected to disappear over the next two decades, perhaps sooner, as a result of an agreement Lower Macungie commissioners struck with David Jaindl, a developer and farmer who negotiated zoning changes to allow warehouses, businesses and homes in the western part of the township. Lower Macungie’s story is a microcosm of the Lehigh Valley. The two-county area had 2,000 farms and about 265,500 acres of farmland in 1964, and has about half that now. In 2012, the most recent U.S. Department of Agriculture census shows, there were 984 farms and about 142,000 acres being farmed in Lehigh and Northampton counties. The Lehigh Valley Planning Commission says land is being converted to housing, commercial and industrial uses at a rate of 3.5 square miles per year and predicts that rate will soon increase to between 4 and 4.5 square miles per year. As the Allentown Fair — a celebration of the region’s agricultural roots — kicks off this week, a movement is underway to slow that trend and reinvigorate farming. Initiatives that promote locally grown food are gaining steam, as are programs that train young farmers. And both counties are committed to adding to the thousands of acres of farmland already preserved. As far back as 1976, the alarm bell was sounding. “Agriculture in the township today is left to only a handful of family farms compared to hundreds 50 years ago,” noted “A History of Lower Macungie Township,” a book published that year by the Lower Macungie Bicentennial Committee. Farmers and township officials could see the change coming, but little was done at the time to protect farms and open space. As planted fields started to diminish, the farm economy eroded, making it harder and more costly to sell livestock, maintain machinery and get crops to market. 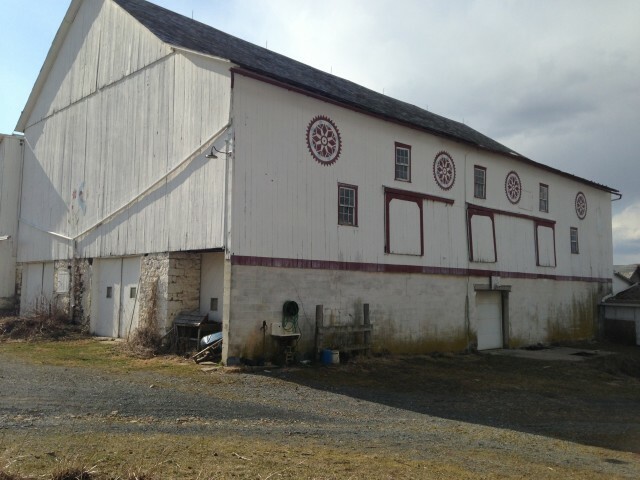 Beginning in the 1970s, city families began moving to adjoining townships such as Lower Macungie and buying old family farms. Rural townships, with their lower tax rates, also were attractive to industries. As demand for their land grew, farmers found they could pay off their mortgages by selling off tracts. After decades of development, open space now is at a premium and programs are in place to protect it. Lehigh and Northampton counties combined have preserved nearly 300 farms totaling about 34,500 acres, although preservation efforts have been hampered in recent years by the economic downturn. The acres aren’t just open but being used. Jeff Zehr, Lehigh County’s farmland preservation director, said roughly 95 percent of the preserved land in Lehigh is being farmed. Read the rest of the story via Will organic farming save Lehigh Valley farmers? – themorningcall.com.